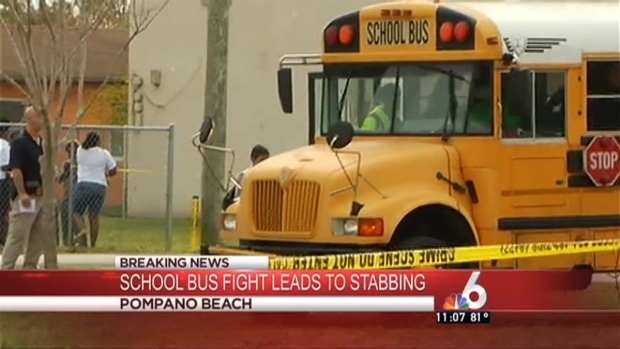 A woman was arrested after she stabbed a 15-year-old girl during a fight with the teen and another parent on a school bus in Pompano Beach Thursday, authorities said. The Broward Sheriff's Office said the fight broke out as the bus was near Northwest 27th Avenue and Northwest 5th Street around 8:40 a.m. According to the BSO, a teen boarded the bus along with a parent. This action led to an altercation with another parent. It is not clear how that parent came to be on the bus. 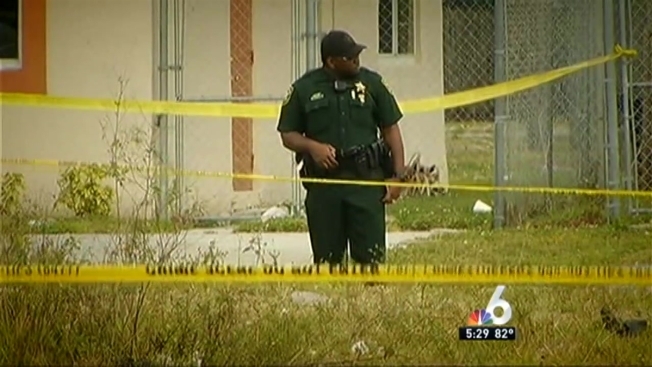 In the midst of the fight, the teen was stabbed in the hand. She was transported to Broward Health North and was being treated for her injury. BSO Violent Crimes detectives are investigating the incident. A confrontation on a school bus between two parents left one person with a stab wound to the hand. Sharon Lawson has details. BSO officials said Chaquinne Demps faces aggravated battery and felony possession of a firearm charges. Demps brandished the knife and stabbed the teen and had gone to her car to retrieve a gun when deputies arrived at the scene, BSO officials said. Demps wasn't listed in jail records and it was unknown if she has an attorney. Family members and authorities said Demps went on the bus to confront the bullies of her son. None of the other children were injured. Broward County Public Schools spokesperson Tracy Clark released a statement about the incident. "The safety of our students is always our highest priority. Following this morning’s incident, all of the students aboard the bus were brought to school where counseling support services were made available. School and District staff members are also working closely with local law enforcement and Broward District Schools Police Department regarding their investigation into the situation," the statement read.